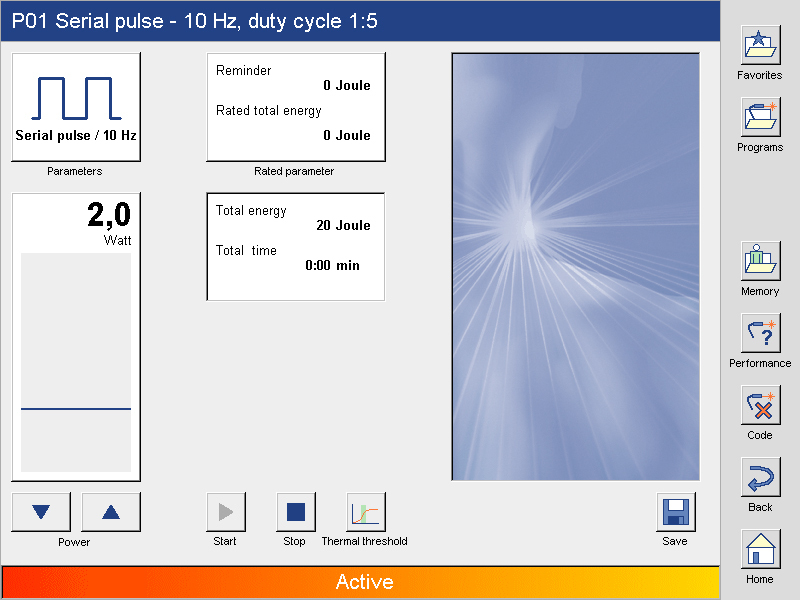 OptonPro – Therapy at the speed of light! 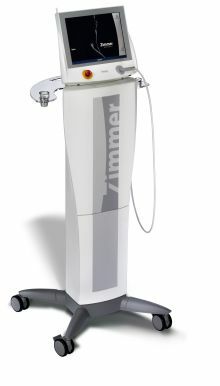 Integrated High Power Class IV Laser with up to 7000mW. Highly effective pain therapy paired with easy and convenient operation at the push of a button – that is the new OptonPro laser therapy device. 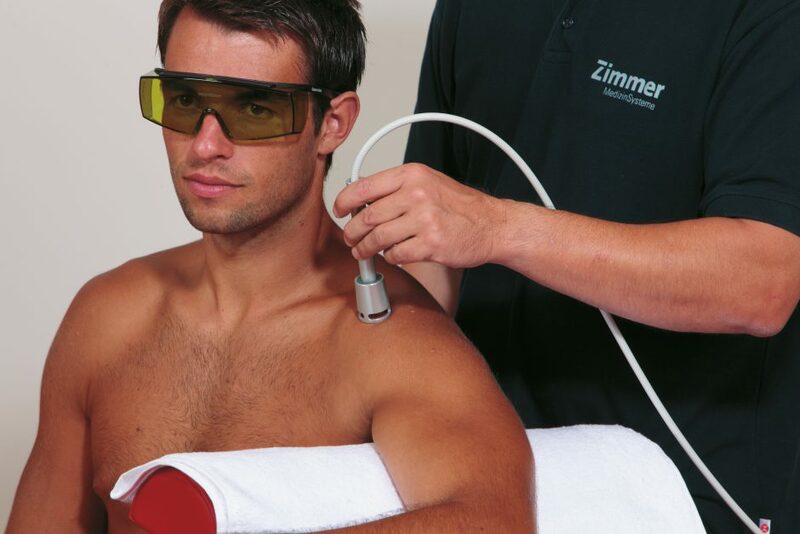 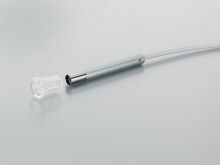 The highly effective laser emits up to 7 Watt of power simultaneously on two wavelengths using an ergonomically designed applicator, thereby offering a very wide range of therapy. 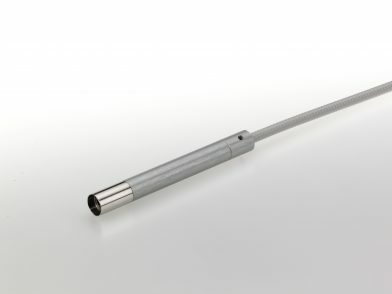 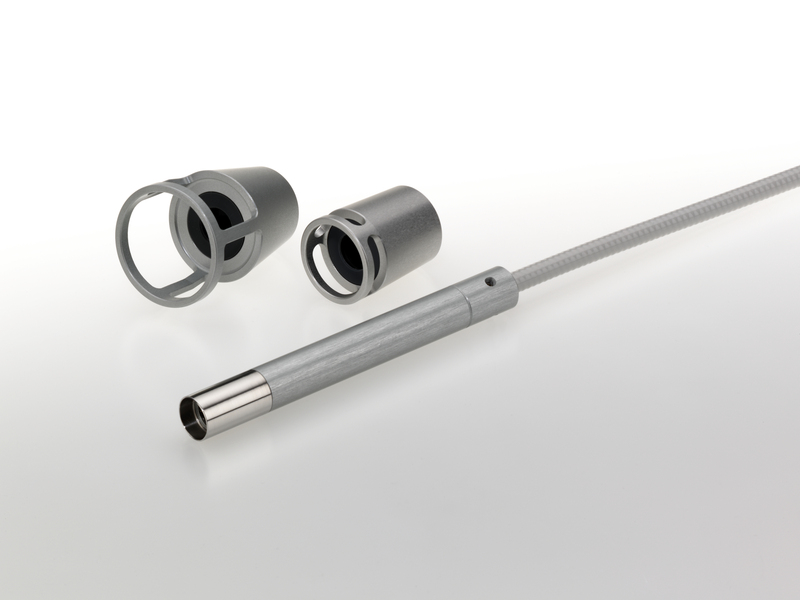 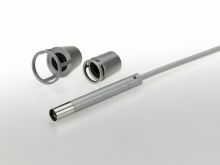 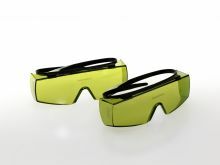 Two easily mounted spacers and an integrated calibration sensor ensure high-safety laser therapy. This method is used very successfully by therapists worldwide. With OptonPro, Zimmer MedizinSystems now offers a system that combines in a compact package all advantages of the treatment with the lowest operating and maintenance costs while providing optimum ease of use and maximum flexibility. 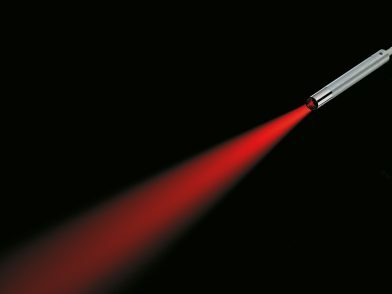 Laser light, which is monochromatic and coherent, can be precisely adjusted and its behavior precisely defined. 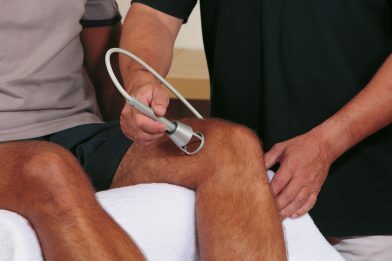 Absorption in injured tissue can be calculated precisely depending on the selected frequency, the composition of the tissue and the selected intensity. 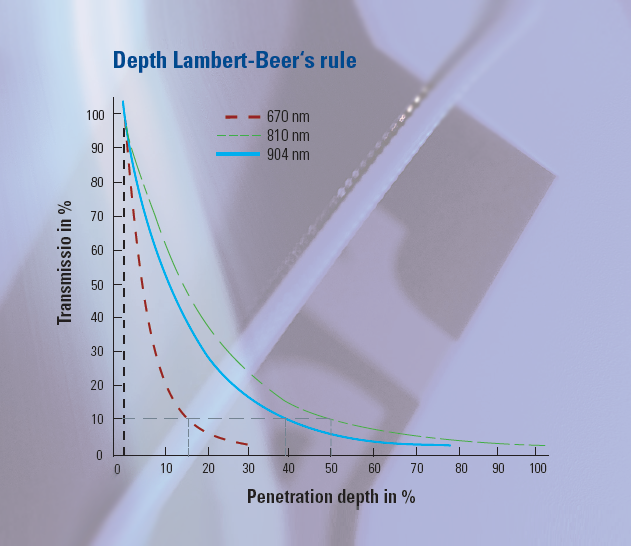 Based on the absorption rate, which can be determined by the Lambert-Beer law, the OptonPro uses a system of four laser diodes with wavelengths of 810nm and 980nm, the absorption minima of melanin and haemoglobin, and a maximum radiation intensity of 7,000 mW (7W). The optimum ratio of absorption and penetration depth guarantees efficient stimulation of tissue and pain receptors. 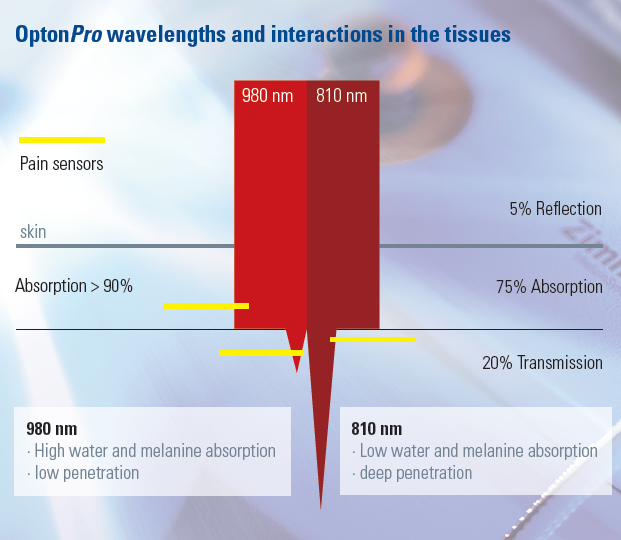 The extraordinarily high power of OptonPro means sufficient intensity to reach even deep tissue layers. 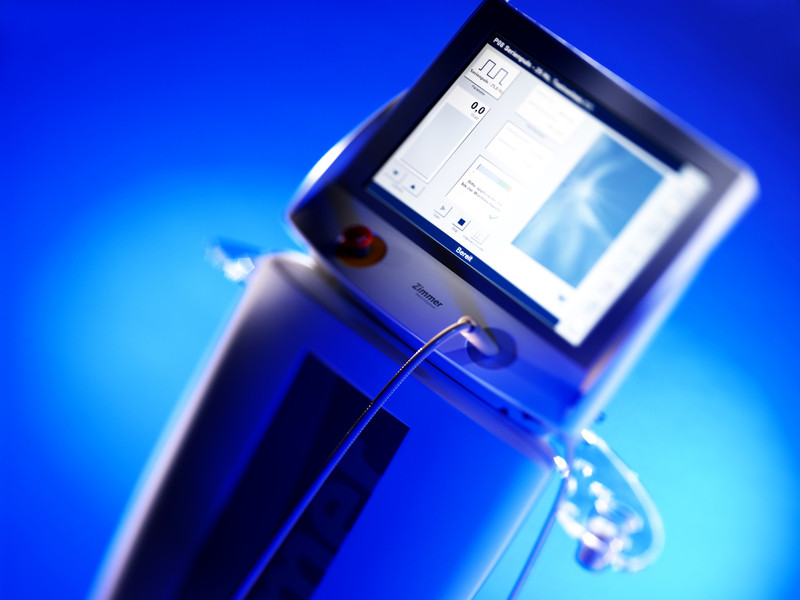 The power of the OptonPro laser is infinitely variable up to 7000 mW. 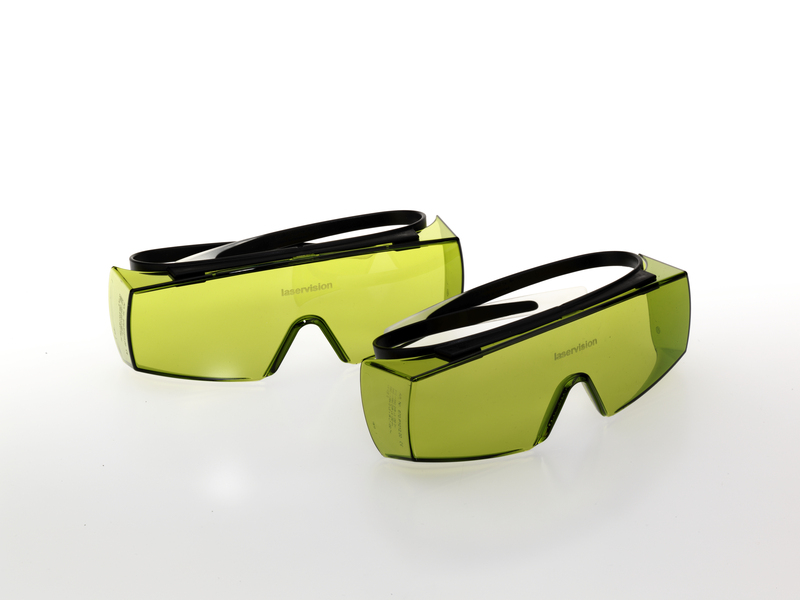 OptonPro thereby combines the laser radiation of two suitable wavelengths with exceptionally high power. 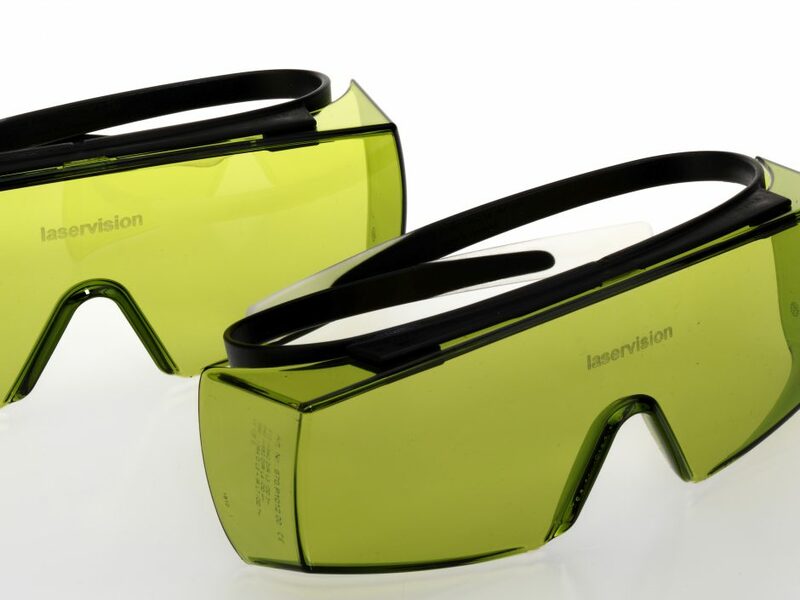 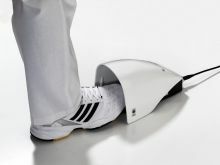 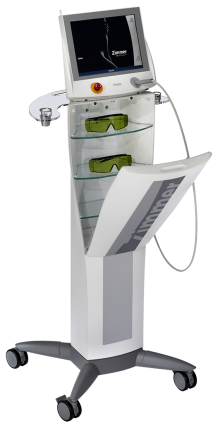 A comprehensive package of safety features ensures that application is absolutely safe, even at the high power of OptonPro: In addition to the multi-step laser activation with password protection, also included is a safety foot switch, an emergency shut-off button and accompanying safety glasses to ensure safety without compromise. 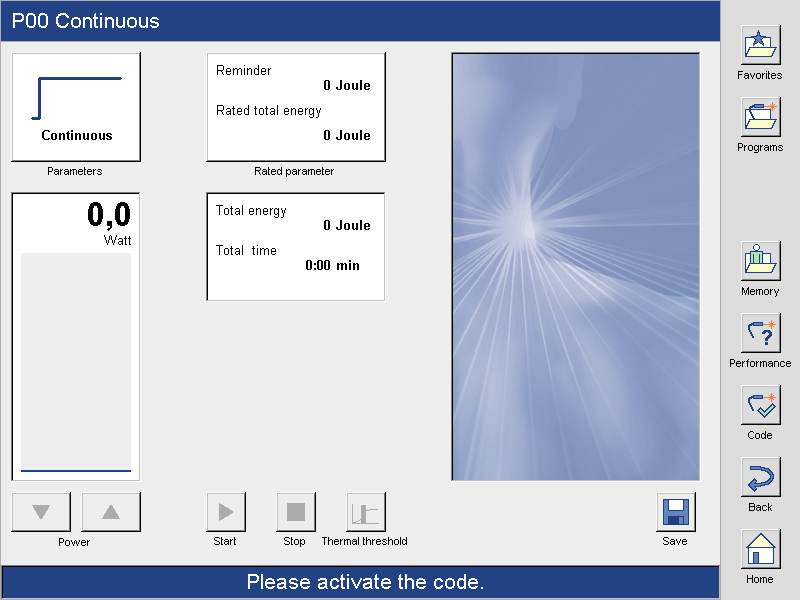 A thermal threshold test supports the user in selecting the appropriate power output. 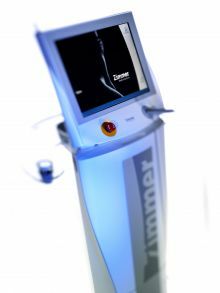 This helps prevent overdose and potential tissue damage in people with a wide range of skin types. 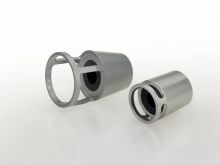 Two different spacers that can be quickly and conveniently exchanged maintain a defined distance between the laser applicator and the skin. An integrated calibration sensor ensures that the correct amount of power is emitted at all times.